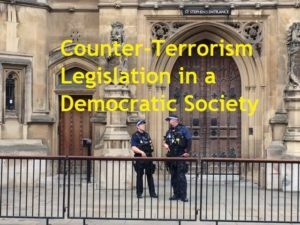 Lord Carlile CBE QC is to give a talk on Counter-Terrorism Legislation in a Democratic Society on Thursday 22 November 2018 in Central London. Lord Carlile was the British Government’s Independent Reviewer of Terrorism Legislation from 2001 to 2011, and the Independent Reviewer of National Security Arrangements in Northern Ireland from 2007 to 2014. He founded and is a director of a strategy and political risks consultancy, SC Strategy Limited. He formed the company in 2012 with Sir John Scarlett, the former chief of MI6 . He also chairs the Chartered Security Professionals’ Registration Authority, the Lloyd’s Enforcement Board, and the major substance misuse charity Addaction. Lord Carlile was called to the Bar in 1970 and became a Queen’s Counsel at the early age of 36. He represented Montgomeryshire as a Liberal / Liberal Democrat Member of Parliament from 1983 to 1997 and was made a Life Peer in 1999 as Lord Carlile of Berriew. He sat as a Liberal Democrat peer until 2016 when he left the party and is now a cross-bencher. 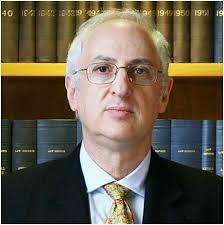 Lord Carlile is also a patron of UK Lawyers for Israel. Full time students: email caroline.turner@uklfi.com for a free ticket.